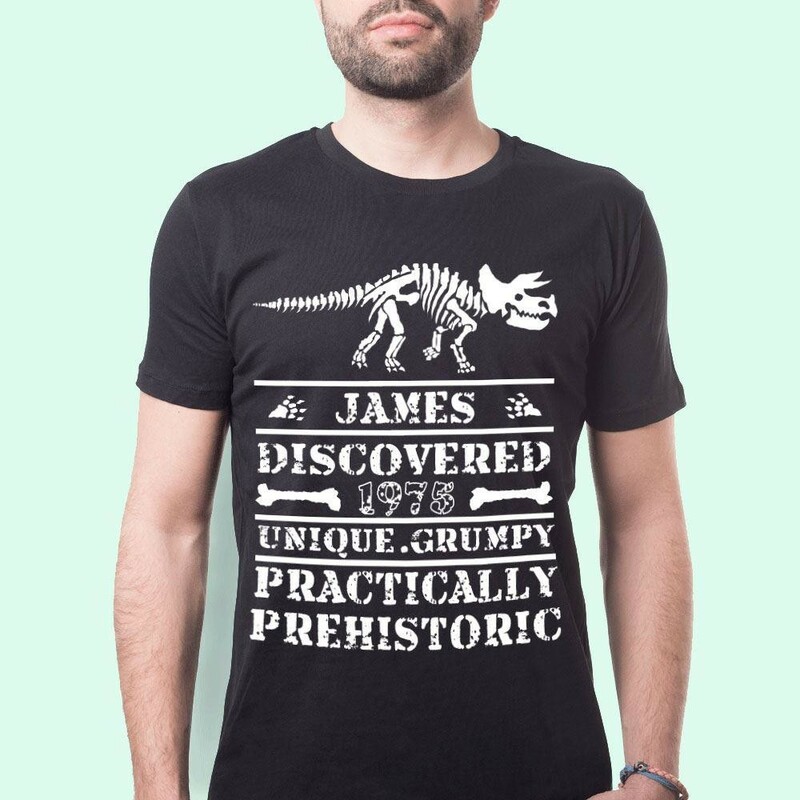 Know someone who's so old they're considered a dinosaur? Well this is the perfect shirt for them! 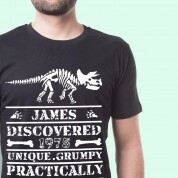 Personalised with a name and date, this dinosaur decorated t-shirt will proclaim exactly when this person was discovered! The quirky quote also features the text “Unique, Grumpy, Practically Prehistoric”. 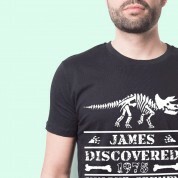 This fossilised t-shirt is a fun memento for a landmark birthday, especially for the older man in your life.